Over time, brake pads wear thin and need to be replaced by a Toyota technician. Brake sensors are specially designed to emit a high-pitched squealing noise when they require attention. If your brakes are making a disturbing grinding noise, you may be damaging your rotors, which is more expensive to fix. It’s easily prevented by paying attention to any strange noises coming from your brakes. Replacing worn brake pads prevents damaging to the rotors. Your Toyota technician will let you know how much life your brake pads have left in them during routine checks and oil changes. Be sure to follow recommendations about maintaining your braking system. If the brake warning light is illuminated on the dashboard of your Toyota vehicle, it may be a sign that there is something wrong with your braking system. First, confirm that your parking brake is released. The light should switch off when the parking brake is not activated. If it remains lit, it may mean there’s a problem with your braking system. You should schedule an appointment to see your Toyota technician right away. Your brakes are critical to keeping your safe and in control while driving. It’s important to be aware of the signs that your brakes may be seriously malfunctioning. If your car pulls to one side while you are braking, or if it shakes and vibrates during braking, you may have a fluid leak or warped rotors. If the brake pedal feels soft, spongy, or difficult to press down during normal driving, you may have low fluid or an issue with your brake lines. An illuminated ABS light on your dashboard my indicate low fluid or a brake line problem, as well. Any of these situations could lead to brake failure and should be addressed by a Toyota technician immediately. 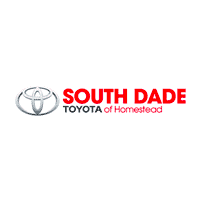 ToyotaCare offers no cost roadside assistance to customers for two years or up to 25,000 miles. To learn more about how to keep your brakes properly maintained and in good working order throughout the life of your Toyota vehicle, contact our service department today.